Dr. Susan Fuhrman is the President of Teachers College, Columbia University, founding Director and Chair of the Management Committee of the Consortium for Policy Research in Education (CPRE), and immediate Past-President of the National Academy of Education. Dr. Fuhrman’s substantial leadership track record includes her term as Dean of the University of Pennsylvania’s Graduate School of Education from 1995-2006, where she was also the school’s George and Diane Weiss Professor of Education. Dr. Fuhrman was influential in creating a new university-assisted public school as part of Penn’s West Philadelphia improvement initiative. Similarly, the Teachers College Community School and an education and social services partnership with a number of other public schools are intended to bring university leadership for neighborhood school improvement to West Harlem. 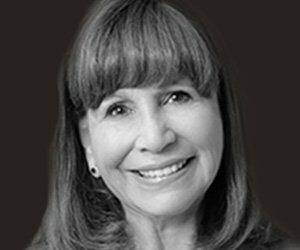 Dr. Fuhrman serves on the Board of Directors of the Hawn Foundation and is a Trustee of the Committee on Economic Development. She also is a member of the Board of Governors of the Pardee RAND Graduate School. Dr. Fuhrman is a former Vice President of the American Educational Research Association, as well as a former Trustee Board member of the Carnegie Foundation for the Advancement of Teaching. She served as a non-executive Director of Pearson plc, the international education and publishing company from 2004-2013. Her work focuses on enhancing the quality of education research, accountability in education, intergovernmental relationships and standards-based reform, and she has written widely on education policy and finance. Among recent books are The State of Education Policy Research (with David K. Cohen and Fritz Mosher, 2007) and The Public Schools (The Institutions of American Democracy Series, with Marvin Lazerson, 2005). Dr. Fuhrman’s work has been recognized by a wide variety of international, national, state and local organizations.